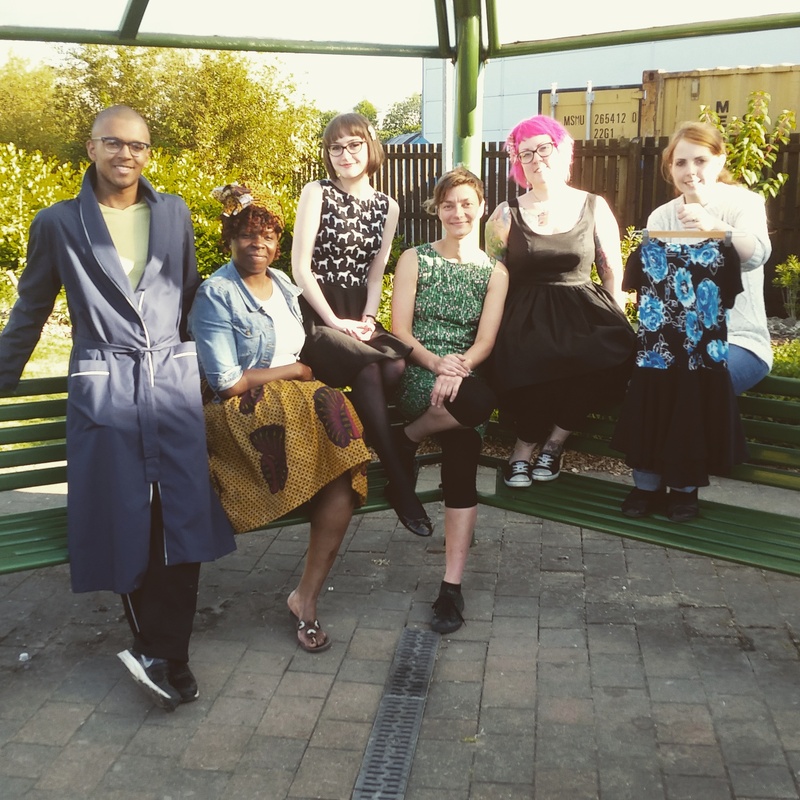 Nine months ago, I enrolled on a Fashion and Dressmaking evening class at Hillsborough College with a modest goal in mind – to make an A-line skirt before the year was out. Come January, I was still drowning in calico samples and the prospect of a tangible outcome – other than in minature – was slim. Due to my initial hastiness for results, I unwittingly embarked on a unsatisfying relationship with my unpicker and slowly began to appreciate the importance of accuracy and precision. Painstaking though it was at the time, I’m now reaping the rewards of those first six months, concentrating on acquiring and documenting skills. I work for the national charity Breast Cancer Care and according to spontaneous awareness research, we are not at the forefront or even the back of people’s minds when it comes to naming a charity connected with breast cancer. To raise awareness of the work we do proving information and support for people affected by breast cancer, we have decided to wear our branded orange t-shirts at events. Orange has never featured anywhere near my colour palette of choice, so styling this one out was not going to be easy. Which brings me to what’s been on the table – Hollyburn. This Sewaholic pattern is all over the internet like a rash and with good reason. It’s an absolute JOY and like Madeline has only one key measurement at the waist. I cut on a 10 and toiled it up as is my prediliction but no adjustments were needed whatsover. So I set to work, with the dual goal of making an A-line skirt both reflective of my own style and suitable to wear for work events. 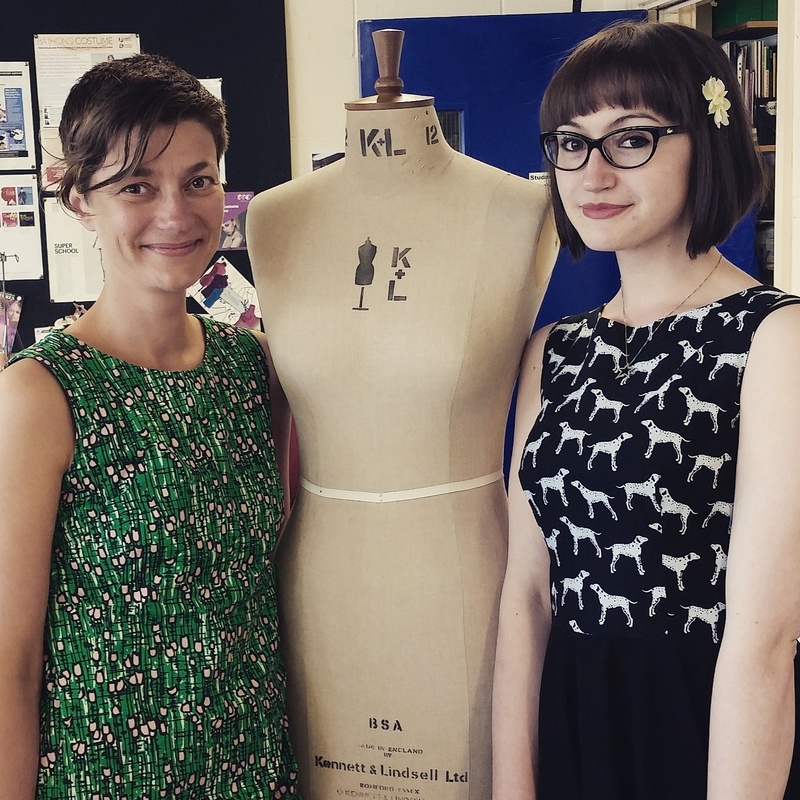 Hollyburn provided me with ample opportunity to consolidate learning from my course – open seams, closed seams, understitching, topstitching, interfaced waistband, pockets and a semi-concealed zip. School’s out for summer and I’m pretty jubilant that I reached the end of the course with three finished items in the bag and one on the table. For my end of term report, I’m going to award myself with an A for effort and as far as I’m concerned, that’s all that counts – beauty is after all subjective and in the eye of the beholder. With so much scope and potential for improvement, I feel no desire to burst my balloon of enthusiasm by picking things apart further. Sometimes the perfectly imperfect is good enough and the flaws serve to chart the trajectory of my journey in stitch thus far. So what now? Well the future’s bright, the future’s … actually it may not feature much orange – apart from denim topstitching. However the end of term by no means signifies the end of sewing. From my initial aspiration to make one wearable item by the end of the year, a gargantuan desire has spawned to produce and sport my very own handmade wardrobe. And as far as fast fashion goes – if I can make it, I ain’t buying it. Me-Made-May ’16, my sights are focused firmly upon you. What’s on your sewing table this summer? Well, material girl – lovely styling and attention to detail as usual. Looks perfect to me. Look forward to seeing your wardrobe grow! Thank you so much. I totally understand where you were coming from wanting to give your friends a quick outcome. And it was so frustrating for me waiting months and months before getting my hands on a pattern. But it definitely paid off as I was pretty much starting from scratch and getting those basic skills down has meant I can speed along (relatively speaking) now. I actually really like the samples in their own right too! And I love calico – I have a plan to make clothes out of it with doll imagery on them – but that’s way down the line. I really appreciate your feedback – it’s very encouraging. Looking fab and bang on trend as they say. Orange is one of this season’s colours don’tcha know. Though wouldn’t go as far as Netflix in saying orange is the new black.